The family of Michael Brown, who was shot and killed by a police officer in Ferguson in August, have sat down for Thanksgiving dinner without their son and brother. Brown had two sisters and seven half-siblings, but it was not immediately clear which of the siblings were pictured. 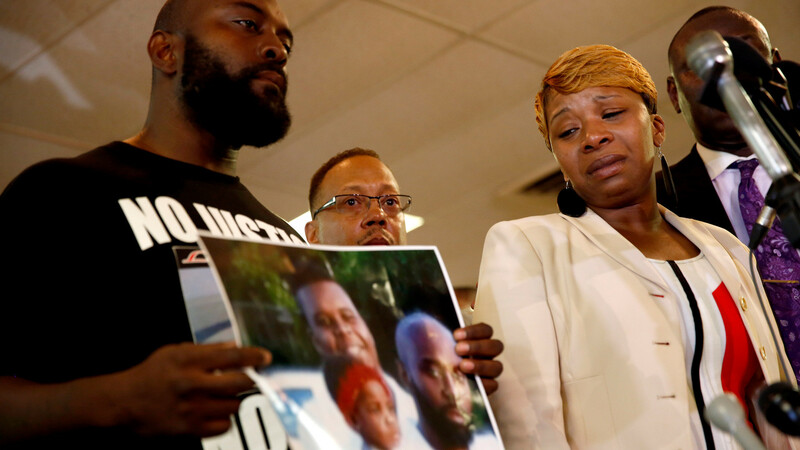 Michael Brown Sr., Brown's father, can be seen standing in the middle holding a young girl. The photo is a poignant reminder of the emptiness felt on Thanksgiving by the families that have lost a relative to a police shooting, and follows on from a flow of photos under the hashtag #StolenLives. The campaign started by Ferguson Action group, calls for families to leave a seat empty at the table in solidarity with those who have lost someone they love. "This year Mike Brown's parents will have an empty seat at their dinner table, so will others who have lost a loved one to police violence," the campaign website states. "Stand in solidarity with them this holiday and save a spot for those who have been lost at your table." Have something to add to this story? Share it in the comments.